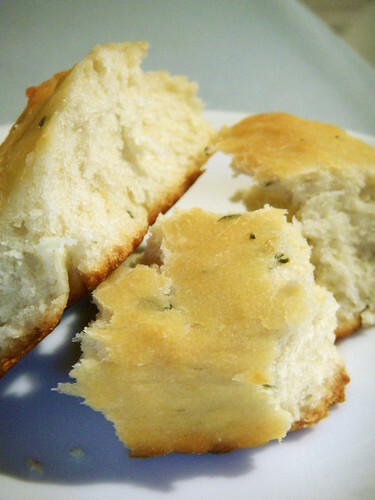 roasted garlic and fresh thyme focaccia, originally uploaded by aarn! +28th July, 2008+. acquired a lot of garlic and fresh thyme at haymarket this weekend. roasted up a bulb of the garlic and chopped the thyme and added it to 7g of yeast, 350g of sifted flour, 1/3 cup of EVO, a few large tablespoons of sea salt, 2/3 of a cup of room temp water. let it prove a couple of times, brushed it with EVO, tossed some more fresh thyme on top and tossed it in the oven for 20min.